While Rebecca may seem like a bizarre object of love for a first lady, this picture wouldn’t have seemed nearly as strange to people living in the 1920s. In her book Pets in America, historian Katherine Grier writes about families in the nineteenth century who kept crows, woodchucks, foxes, deer, and squirrels as household pets. 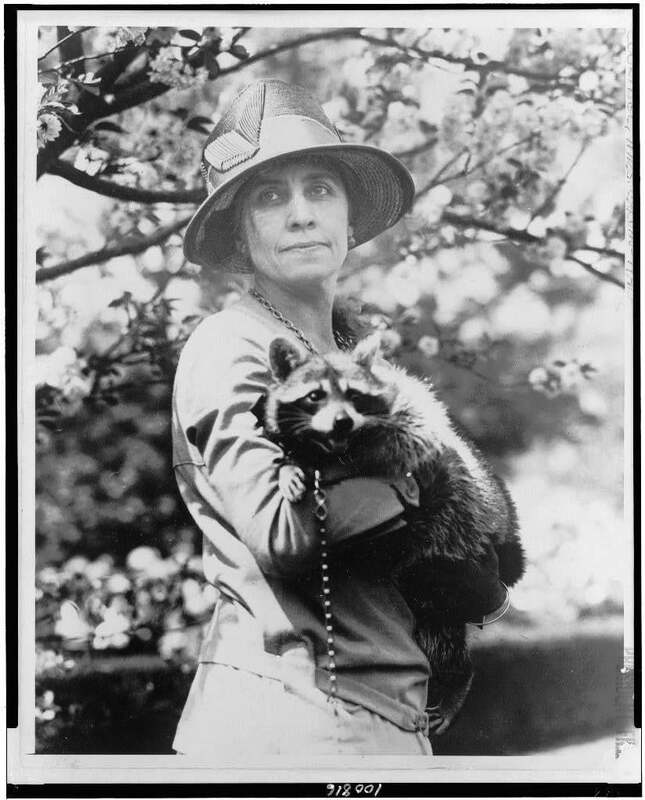 After the menagerie tended to by the six young Theodore Roosevelts, who paraded a variety of snakes, a baby bear, and a badger named Josiah through the White House halls, Grace’s Rebecca may have seemed tame by comparison. Also, rabies in raccoons wasn’t nearly as common before the 1950s. “Mrs. Calvin Coolidge, half-length portrait, standing, facing front, holding her pet raccoon.” Taken between 1921 and 1923. Library of Congress, National Photo Company Collection.